Get more insight about the Users on your website. 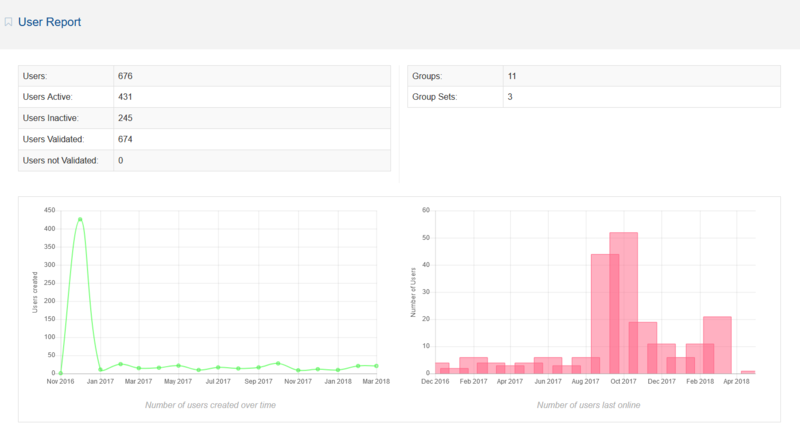 User Report adds a dashboard page with charts and tables with page related data. This add-on is especially useful for larger websites. This add-on installs just one thing, a page under Dashboard / Members / User Report. Nothing else is installed or modified. The add-on only queries the database and presents the data in a meaningful way.